3 tracks with a large explosive charge! Clearly influenced by European-Techno, with elements that mix hard techno/industrial from Gene‘s Russian culture to the classic German techno. All for a final result of a powerful dark techno, space and hypnotic. 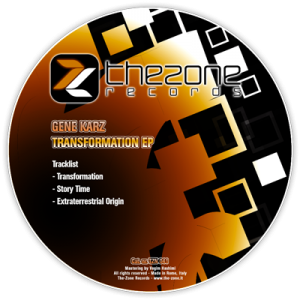 Transformation is the most clubbing track, a simple rhythmic sequence with pads and hypnotic voices perfectly embedded in a setting almost “shamanic” In Story Time & Extratterestrial Origin, Gene Karz want to create a setting light years away from Earth, completely alienating…final result…hitting the target! Well is not nothing but turn up the volume to the max!